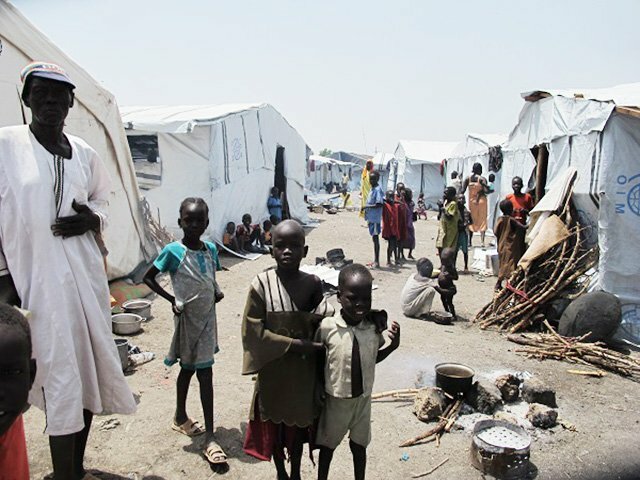 JUBA/NAIROBI - Escalating fighting in South Sudan is exposing civilians to widespread violence and severely restricting the provision of desperately needed aid, the international medical humanitarian organization Doctors Without Borders (MSF) said today. An upsurge of violence in Unity, Jonglei and Upper Nile states has resulted in the suspension of medical services, destruction of health structures and evacuation of medical staff. In Upper Nile state, MSF is providing life-saving medical assistance to people wounded in fierce fighting in Melut, despite no longer being able to fly in medical supplies and personnel. Ongoing insecurity is preventing planes from landing and has forced hundreds of people to seek shelter at the United Nations “Protection of Civilians” site in the last few days. MSF’s ability to provide care to those in desperate need is now at risk unless the safe passage of staff and supplies is guaranteed. In Malakal, MSF is also treating people wounded in recent fighting although clashes prevented the provision of medical assistance last week to approximately 30,000 people living in the “Protection of Civilians” site there which has seen a huge influx in new arrivals. The highly volatile situation continues to prevent teams from being able to enter Malakal town itself where much of the fighting took place. In Jonglei state, the town of Phom El-Zeraf (New Fangak) was on the frontline over recent months. During a visit to the area on Tuesday, an MSF team discovered that the town had effectively been destroyed, with trees and homes burnt to the ground and school buildings flattened. The hospital, one of the main health facilities in the northern part of the state, had been demolished. Its destruction greatly impacts people in an area with few alternatives for medical care. In Unity state, MSF was forced to evacuate its hospital in the town of Leer on 9 May 2015 as the frontline approached, leaving approximately 200,000 people in the area with no medical care. MSF was able to make contact early this week with a South Sudanese employee who reported he was hiding with many others on an island in the swamp to avoid gunfire. “A rocket-propelled grenade round landed in the water next to him but thankfully failed to detonate. He spent nine hours in the water. When he could go back to the island he gave the bodies of two young children that he had recovered from the water to their parents. He said that a woman from the group was abducted, someone else is looking after the woman’s baby” said Paul Critchley. In Bentiu, fighting and insecurity over the past weeks have forced MSF to suspend several mobile clinics in the surrounding areas. In one location Nhialdiu, MSF was providing free medical consultations to hundreds of people every day. MSF continues to run a hospital within the “Protection of Civilians” site in Bentiu which has seen more than 11,000 new arrivals –mostly women and children. Many people have shared with MSF horrific accounts of the violence they are escaping from: whole villages burned to the ground; families separated; attacks and killings; having to leave wounded behind, and sexual violence against women and children. MSF treated a pregnant woman who arrived with a serious leg injury from an exploding shell. She had been unable to get any medical assistance for nine days. Those who have managed to reach one of the “Protection of Civilians” sites are not spared from violence either. Regular shelling and gunfire close to the areas where civilians are sheltering have resulted in bullets and shells breaching the perimeter and injuring residents on several occasions. In March, MSF treated a 9-year-old child shot while sleeping inside in the “Protection of Civilians” site in Bentiu by a bullet fired from the exterior. Inter-communal tensions are also running high inside the camps with the MSF hospital in Bentiu treating triple the number of violence-related injuries, with nearly 150 cases in April up from around 50 cases every month last year. The upcoming rainy season and overcrowded conditions exacerbated by the recent influx of new arrivals in several camps are additional causes for concern. MSF is one of the largest medical and humanitarian aid providers in South Sudan with more than 3,500 staff across the country, as well as projects in Ethiopia and Uganda serving refugees from South Sudan. At present, MSF operates projects in six of the ten states of South Sudan, including in Unity, Upper Nile and Jonglei where the conflict has taken a particularly heavy toll on the population.